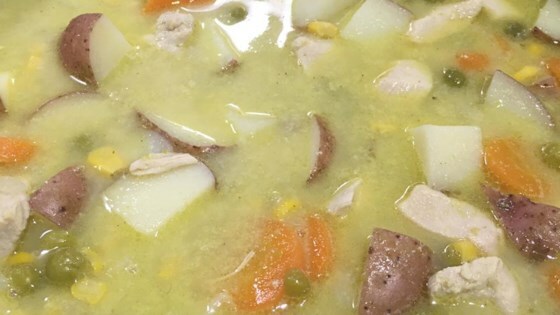 "Instead of just plain potato soup, add some chicken and a few veggies. You're sure to like it!" This soup was easy to make and truly delicious. U can vary the thickness of the soup by controlling the amount of water and milk. It was very soothing and satisfying. A must make! A very good quick, easy, and very hearty stew. Perfect if you're in a hurry. I added a little bit of chipostle salsa on top to give it a little bit of extra smoky flavor and spice.